Get comfortable thanks to the Samantha Arm Chair. This first-rate armchair features a fabric over foam seat, back and armrests, enabling you to sit back and relax for hours. Plus, the armchair boasts brushed stainless steel legs that deliver consistent stability and further enhance the chair's visual appeal. 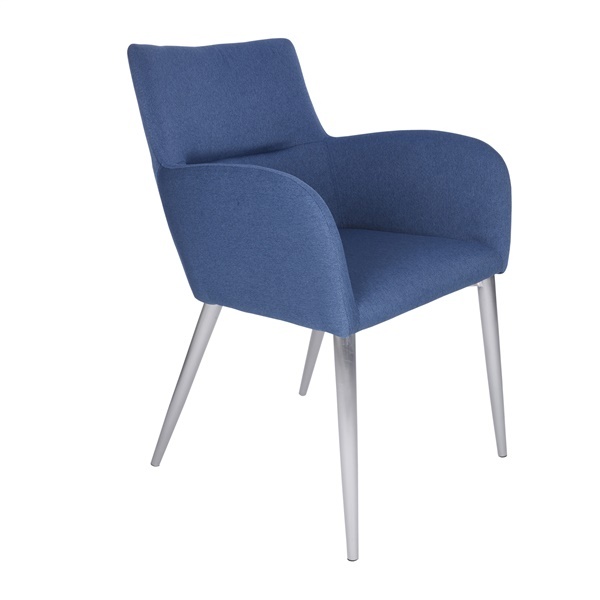 Add a dazzling and practical armchair that is built to last � the Samantha Arm Chair. Offers a timeless design to match the decor in a modern or retro living space. Stainless steel legs deliver unprecedented stability and strength. Legs feature a stainless steel finish that will dazzle consistently. Boasts a fabric over foam seat, back and armrests that provide exceptional comfort and style.